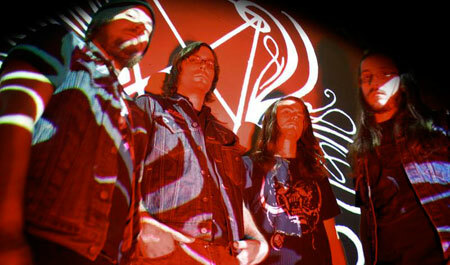 Desertfest Berlin are thrilled to announce that COUGH have been added to the DESERFEST Berlin 2013 line-up !! Formed in Richmond, Virginia, in 2005, COUGH is a sludge/doom metal band delivering thoroughly massive, epic and impenetrable walls of sound and volume, at points suffocating and claustrophobic, at others warped and hallucinogenic. The band self-released an EP, “The Kingdom”, in 2007, and followed it quickly with their first proper full-length “Sigillum Luciferi” in 2008, recorded with acclaimed producer Sanford Parker (Minsk, Rwake, Pelican, Nachtmystium). Sporadic gigging followed the release before the band holed up in a Richmond warehouse to write the follow up, but the band slowly laboured forward with the writing. By winter 2009/2010, the band had signed to Relapse Records and returned to Chicago, Illinois, enlisting Parker once again to record the long awaited “Ritual Abuse”, released in October 2010. Upon its releases the band embarked on two epic North American and European tours lasting almost four months ! In 2012, COUGH performed another US headline run, and their first ever Australian and New Zealand tours. They will be back in Europe in 2013 for a seven-week tour starting from April, stopping at the DESERTFEST Berlin to deliver their impressive monolith of sound! And that’s not all as WITCH MOUNTAIN have also been added to the DESERFEST Berlin 2013 line-up!! WITCH MOUNTAIN is classic doom metal band delivering a magic potion of massive and rumbling riffs that bore you skull, and bluesy, ballsy, and sensual vocals that attract everything with their seductive wildness. A July 2009 show opening for Pentagram, with guest singer Uta Plotkin, marked a revival of the band. Uta brought the necessary ingredient that WITCH MOUNTAIN founders Rob Wrong and Nate Carson had been seeking since they initially formed the group..
She was asked to join the band as main vocalist, and WITCH MOUNTAIN recorded their second full-length album, “South of Salem” six months later. Produced by master “engine-ear” Billy Anderson (Sleep, Neurosis, Melvins), it was unleashed in April 2011 through their own label Mountastic Recrods. 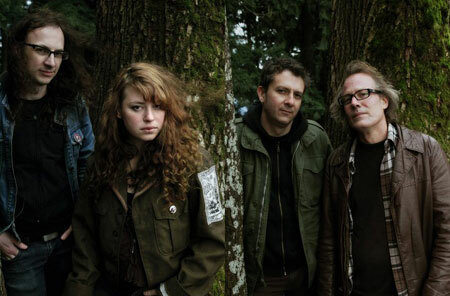 In November 2011, WIITCH MOUNTAIN was signed with Profound Lore Records and released their third full-length album, “Cauldron of the Wild”, in June 2012. Just after, an invitation to play the main stage at Scion Rock Fest 2012 along with Sleep, Saint Vitus, and Down gave the band an opportunity to return to US stages, successfully headlining in the US and Canada for most of June. This fall, Scion sponsored the band’s most extensive tour to date — a 5-week headlining trek around the US and Canada with witchy friends Castle in support. WITCH MOUNTAIN will also be joining COUGH for their seven-week European tour starting in Europe, so keep an eye open for the confirmed dates. DESERFEST Berlin takes place between 25th – 27th April 2013 at the Astra KulturHaus in Berlin, weekend Passes are still available for 82.50 Eur, further info on tickets can be found at www.desertfest.de/index.php/tickets.html and more bands are still to be announced over the coming weeks.